Updated Tuesday October 21, 2014 by OBBA. Concussions can happen in any sport. All coaches MUST take this FREE Concussion Awareness training video. Our childrens health and safety is more important than any game they are in. 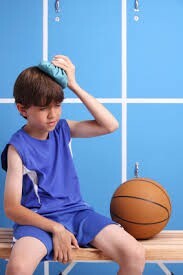 If you or a parent suspects that a child may have sufferred a concussion, DO NOT put them back in. WHEN IN DOUBT, SIT THEM OUT ! Please share this link with your team's parents.